Are you looking for a delicious crab recipe with a difference? If you are, you’ve found it! 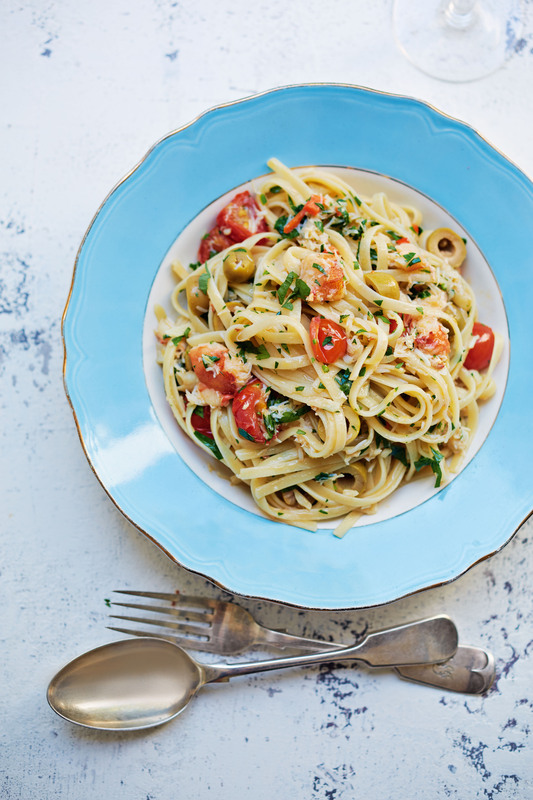 Here’s my crab & prosecco linguine for you to enjoy. Venice’s Rialto Fish Market is a vibrant, bustling place full of amazing fresh produce. I loved the atmosphere – all the locals out shopping and the fishmongers loudly calling out their catch of the day. These guys start work so early that they can often be seen enjoying their lunch with a glass of prosecco by 9am! So you can see where I found the inspiration for this recipe. Fresh crab is paired with the subtle flavour of prosecco to create a delicious celebratory dish; one that I was lucky enough to enjoy with all the beauty of Venice as my backdrop. If you prefer, use dry white wine instead of prosecco. 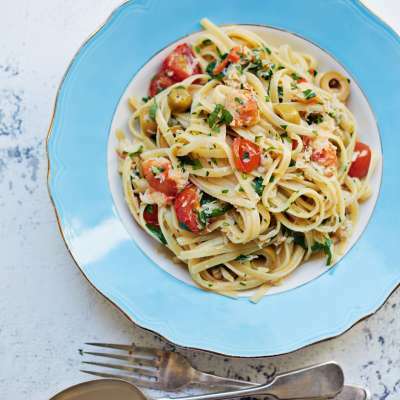 Feast your eyes on the finest crab & prosecco linguine! It’s straightforward and fun to make this great dish. Simply follow the instructions below and get the perfect result. Cook the linguine in a large pan of boiling, salted water until al dente. Meanwhile, put the oil, garlic and chilli in a large, high-sided frying pan or sauté pan and place over a medium heat. Fry gently for about 1 minute, stirring continuously. Add the tomatoes and cook for 2 minutes or until slightly softened (you do not want them to turn mushy). Stir in the lemon zest. Season with salt. Increase the heat and pour in the prosecco. Bring to the boil and let it bubble until almost evaporated (about 1–2 minutes). Add the crab meat, olives and parsley and turn off the heat. When the linguine is cooked, remove it from the water using tongs or a spaghetti spoon and put it directly in the pan with the crab mixture without draining. Gently toss the pasta to ensure it is evenly coated. Serve immediately. 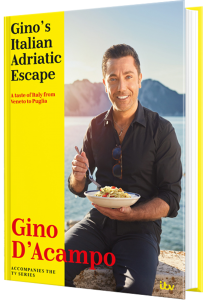 Once you’re done, simply sit back and enjoy your crab & prosecco linguine and don’t forget to check out other great authentic Italian recipes including great antipasti recipes, Italian pasta recipes, Italian soup recipes, Italian beef dishes and authentic pizza recipes.